come with the captain america motorcycle and a hydra battle vehicle. the motorcycle has suspension wheels. 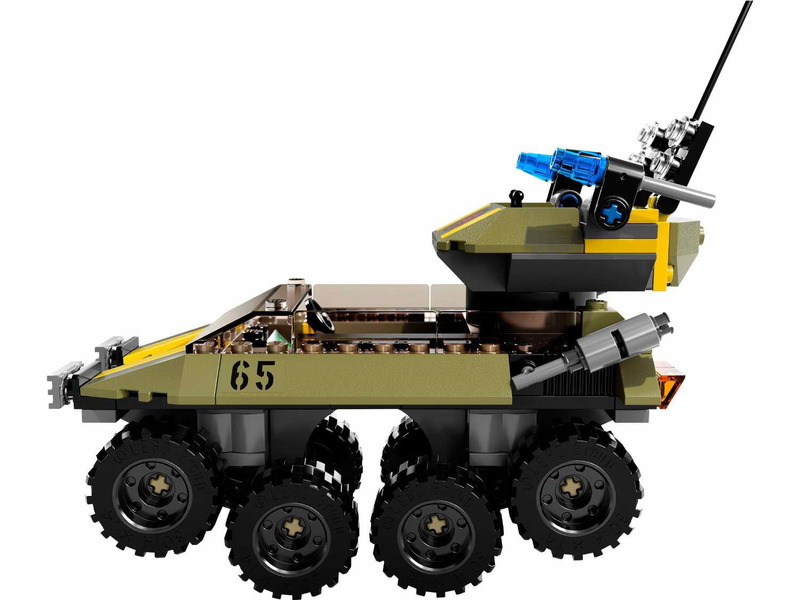 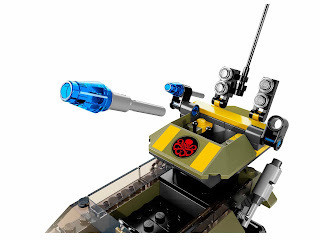 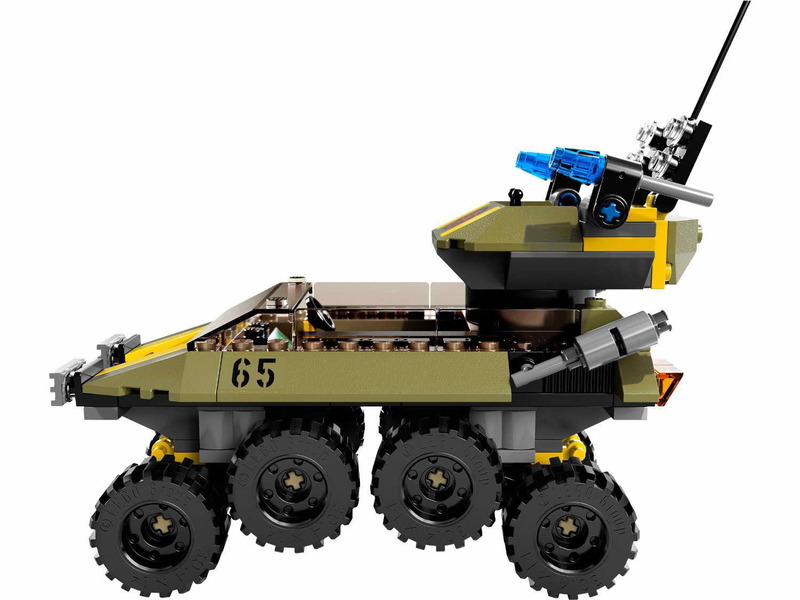 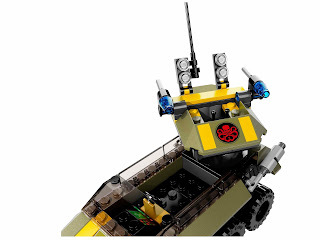 the vehicle has articulated wheels, a rotatable turret and dual flick missiles. 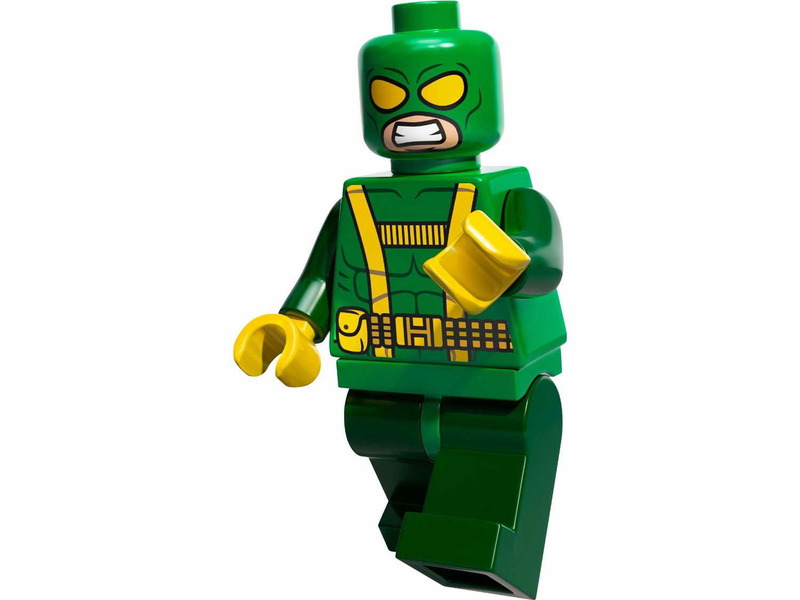 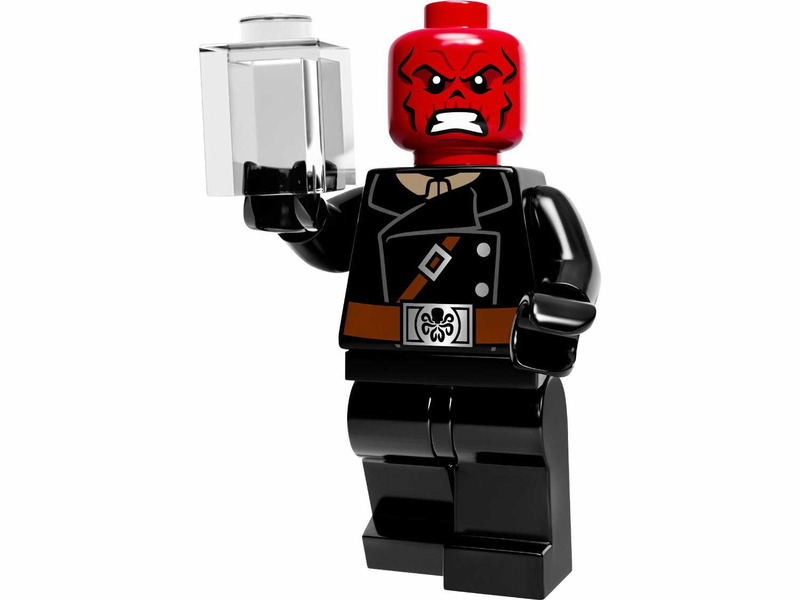 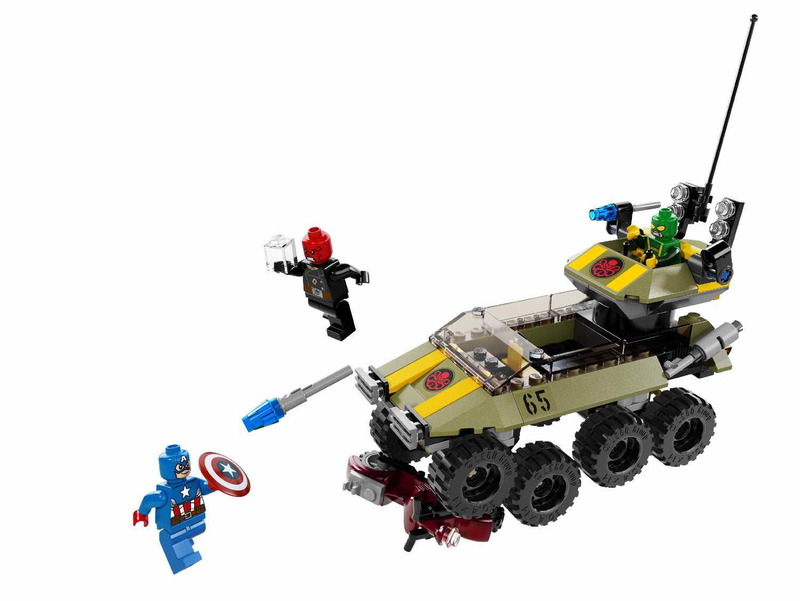 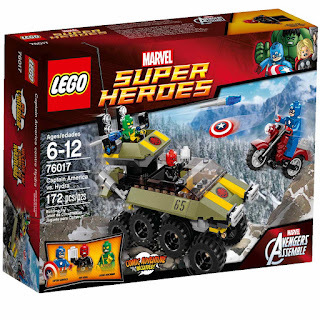 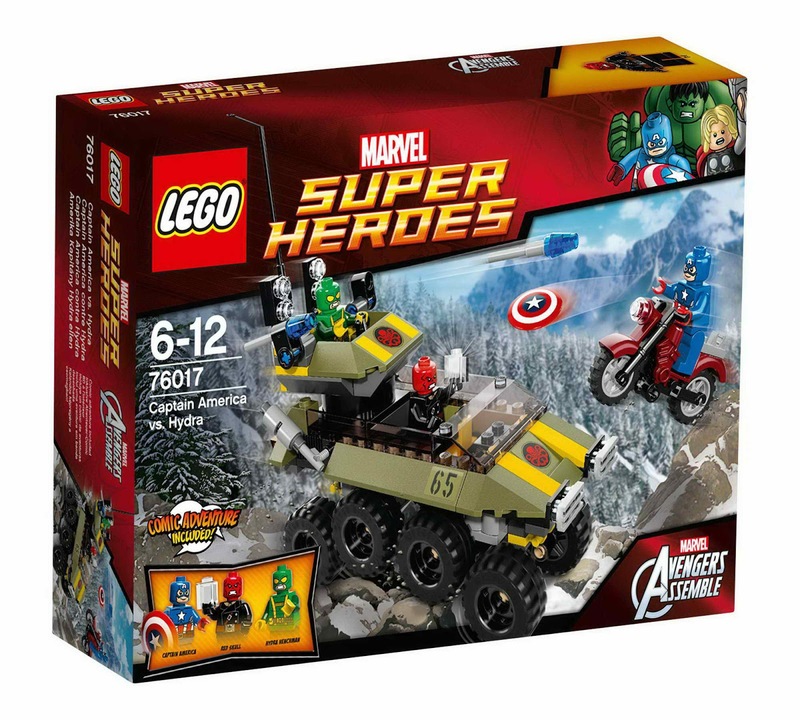 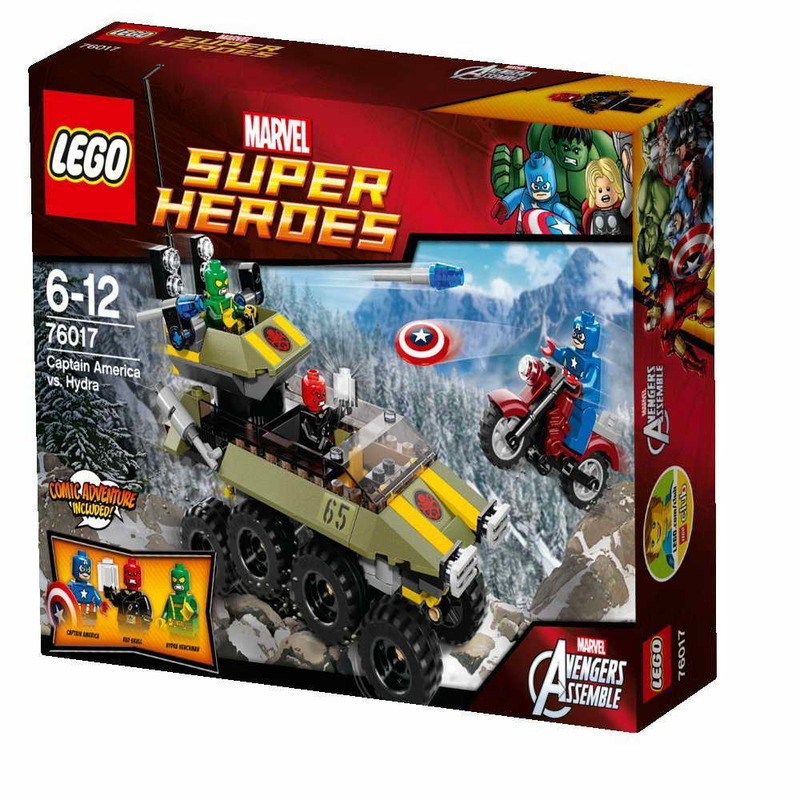 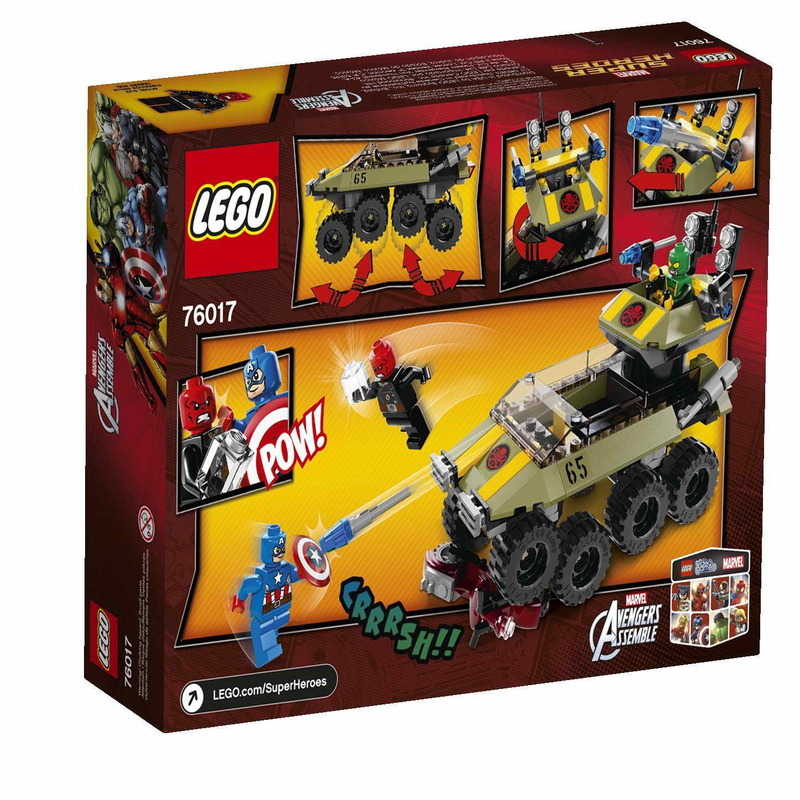 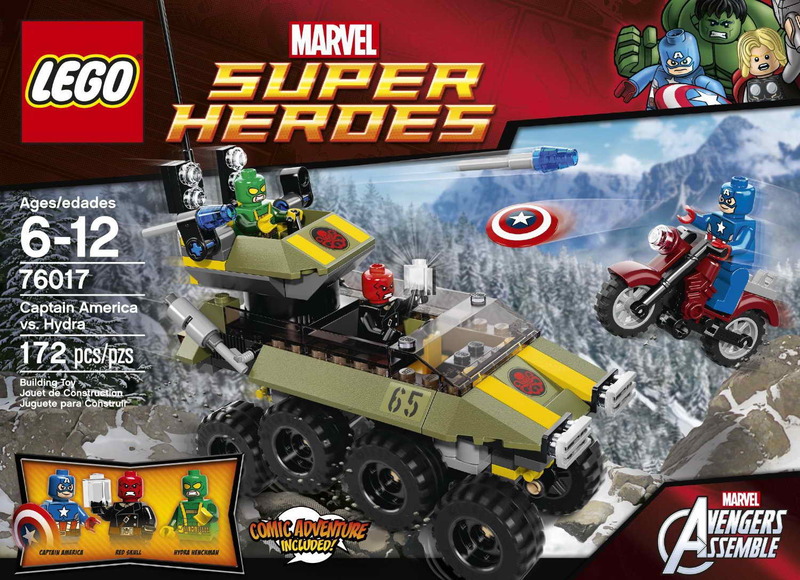 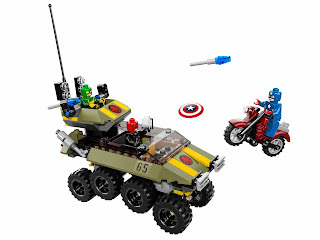 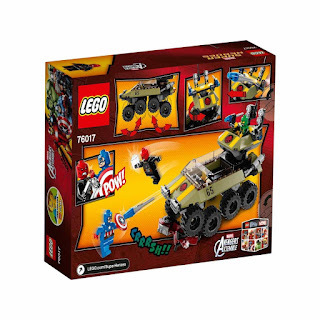 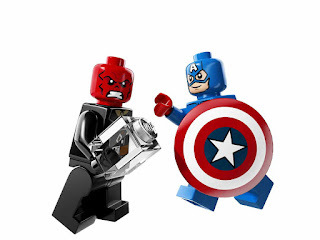 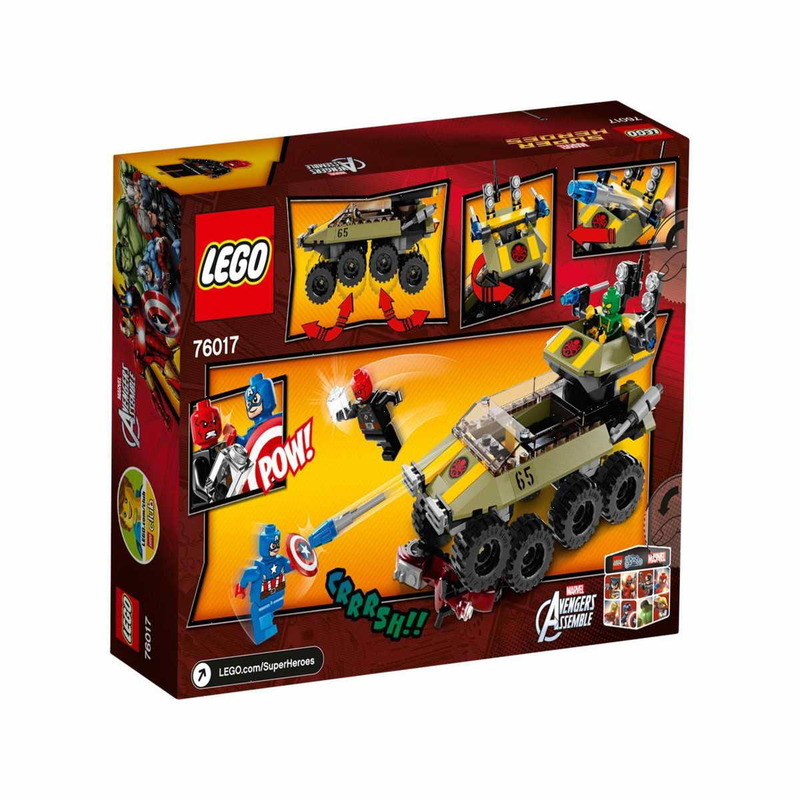 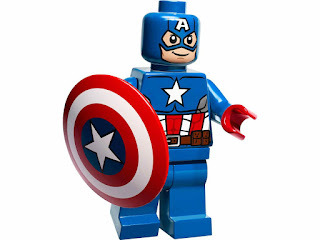 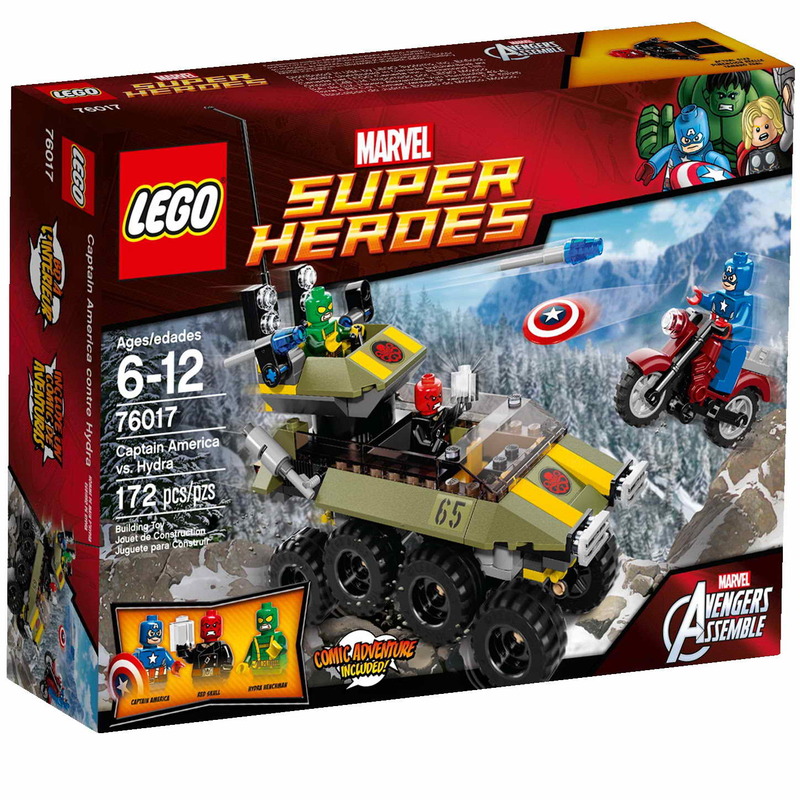 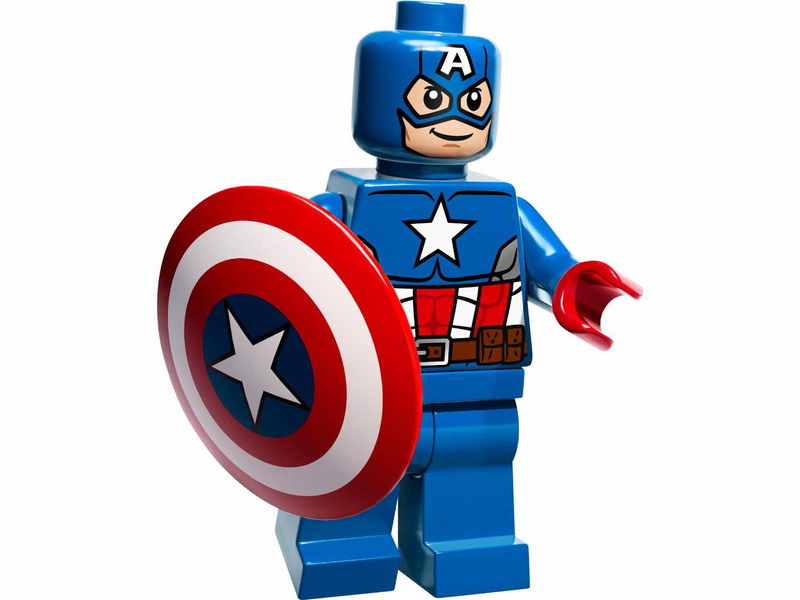 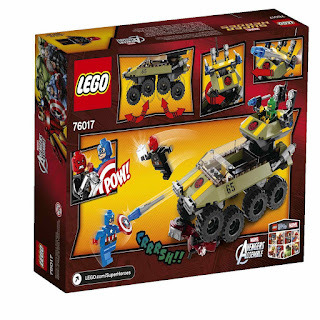 minifigs included a captain america minifig, a red skull minifig and a hydra henchman minifig.